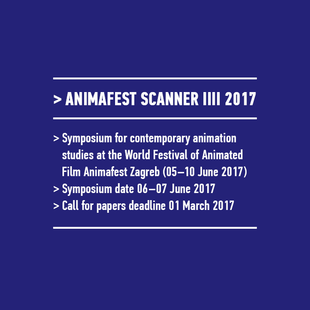 Apply for the international Animafest Scanner IIII 2017 symposium! This year´s keynote speaker is the recipient of the Animafest Zagreb Award for Outstanding Contributions to Animation Studies for 2017, Maureen Furniss, USA. Applications for participation at the symposium are open until 1 March 2017.